The hiking pace quickens as the honey hole nears. 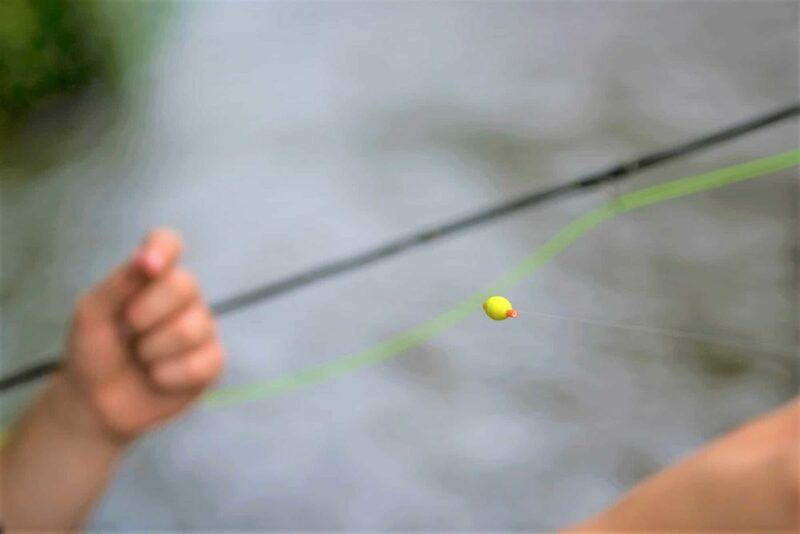 Our hearts drop when we round the last bend of the river and the spot comes into view: there are three anglers fanned out in the run we were planning on spending the next few hours. Fishing pressure is a part of life on most waters, especially on the well-known ones. If fly fishers packed up and went home every time another angler beat them to a spot they would hardly ever fish! The key isn’t finding locations with fewer people, though that helps, but rather adapting to create opportunities when it seems like every likely spot is littered with other anglers. One of the best things an angler can do is observe others. See what type of water they are fishing and with what sort of rigs. Diligently watching specifics of their setup down to indicator depth and weight amounts can make all the difference in the world on busy trout streams. 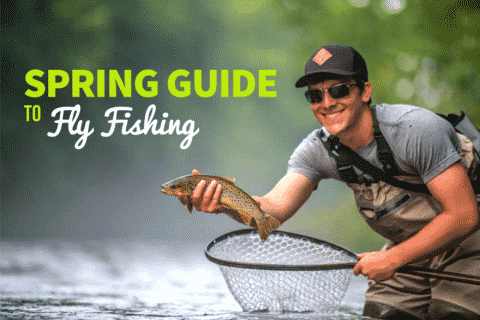 Typically it isn’t advised to fish behind someone, but if that someone is throwing a single dry fly it can still be very productive to fish a nymph rig through that same water just a few minutes later. That information is only ascertained through the watching of others, and it directly translates into more efficient time drifting flies, and by extension more fish in the net. Time observing others is well spent when the information learned is used to our benefit. What type of water are others fishing? What flies are they using? How are they fishing those flies? On a stream that’s heavily fished, watch where others are spending their time, as it will mostly likely be the most productive looking of spots. 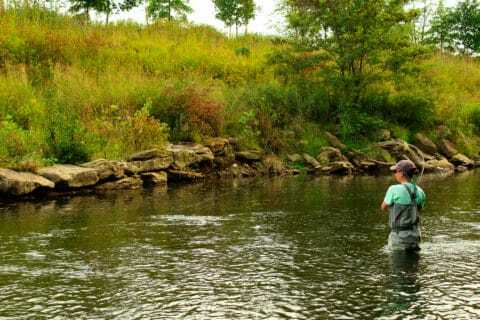 Most productive doesn’t necessarily mean the only spots where trout are, however. Trout can be found in any and all types of water! 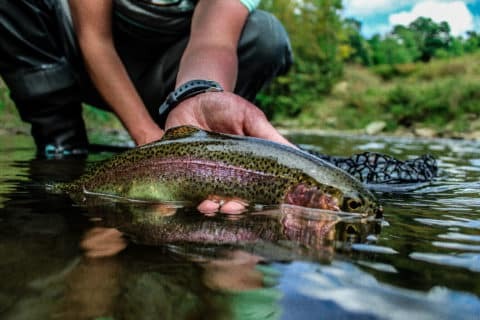 Riffles that seem too shallow or too fast are often home to multiple trout, and they are overlooked by trout fishers. 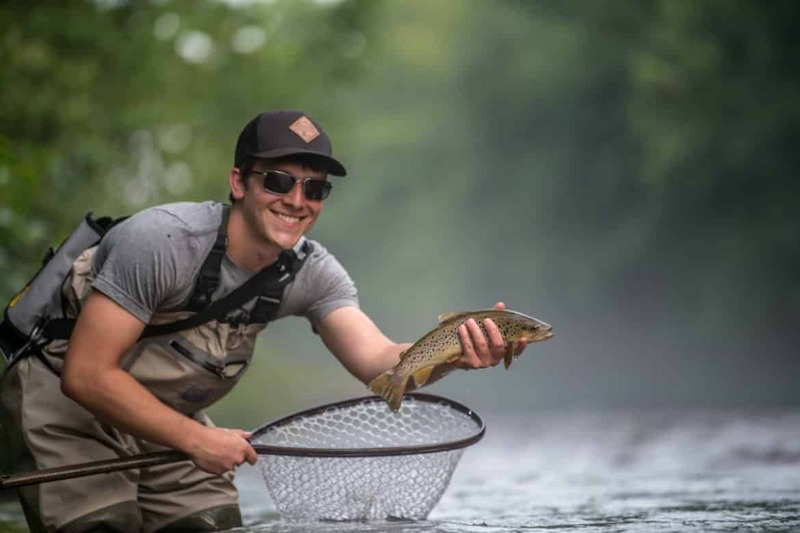 There have been some amazing studies that show fish inhabit even the swiftest of white water, so as a fisher these places should never be overlooked. Thinking outside the box for trout doesn’t just have to do with where we fish, but also what flies we are throwing. 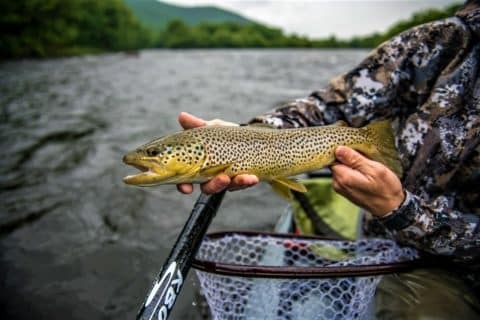 A few years ago, when the copper john pattern was first gaining popularity, it was said that fish in pressured western rivers would quite literally shy away from these heavily weighted patterns as they drifted past. Don’t just focus on what’s hatching! Certain patterns, like eggs, will work all year not just during spring and fall! Whether that’s true or not, the point is that on pressured rivers the fish see popular flies daily. Try something unconventional, and be confident fishing it! Just because everyone else is fishing a fly doesn’t always mean you should. Aside from being productive, there’s something almost mad scientist-esque about trying something unique. 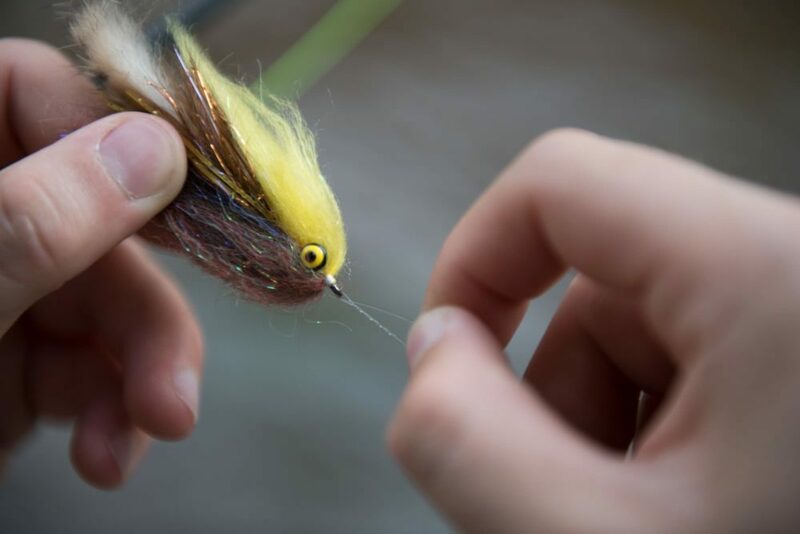 It can be exciting to fish a fly that shouldn’t work, but then does. Catching trout in water that looks borderline unfishable also gets the blood going, and makes us anxious for more! Don’t be deterred by comments like “You’re fishing there? !” while your indicator churns in white water. When another angler asks what you’ve been using, and the answer is an egg pattern when everyone else is focused on tiny baetis or caddis, take pride in knowing you’re being innovative on the trout stream. That’s easy to do when you’re the one catching fish!